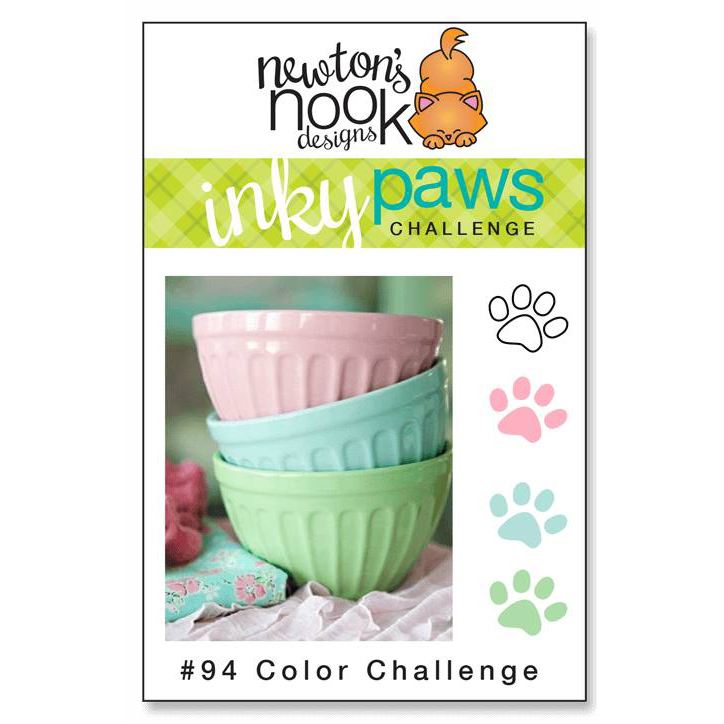 Link up your card to the challenge for a chance to win a $20 store credit to the Newton's Nook Designs online store! 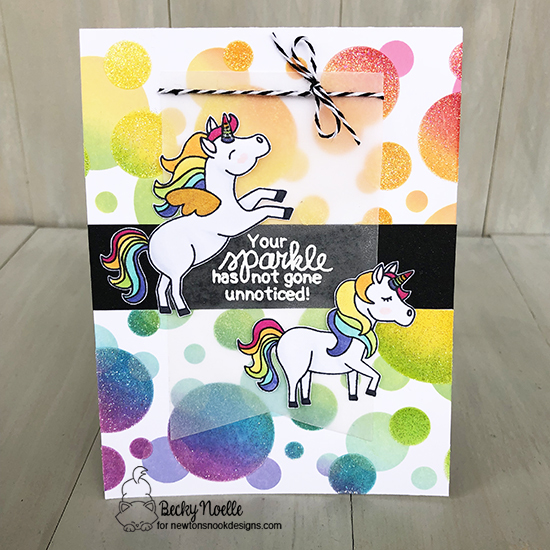 I've got rainbows, unicorns, and glitter today! What can I say, I was a Lisa Frank kid! 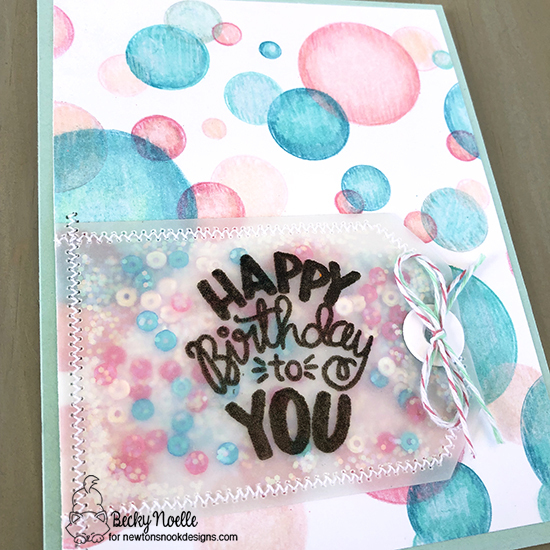 I finished everything off with a vellum tag with the sentiment stamped and embossed on it. 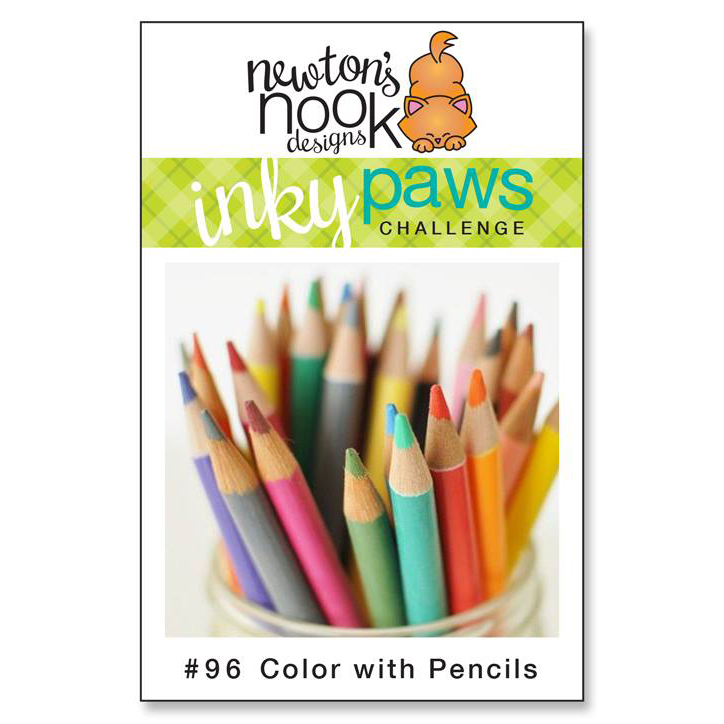 Remember to link up a card by Friday night to the challenge for a chance to win! it's a new Monday and the beginning of a new Inky Paws Challenge! 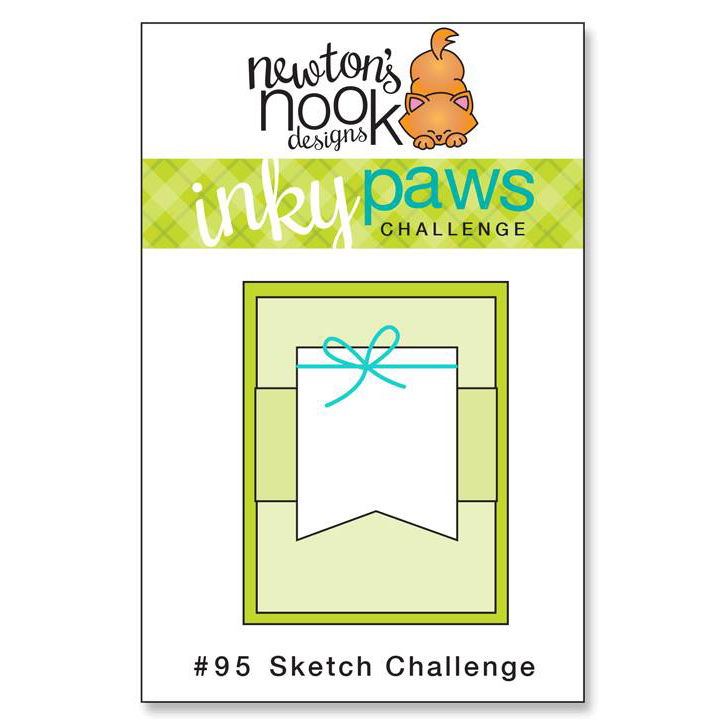 We have a great sketch for you for this challenge so get crafty and link up a card to the challenge for a chance to win a $20 store credit to the Newton's Nook Designs Online Store! 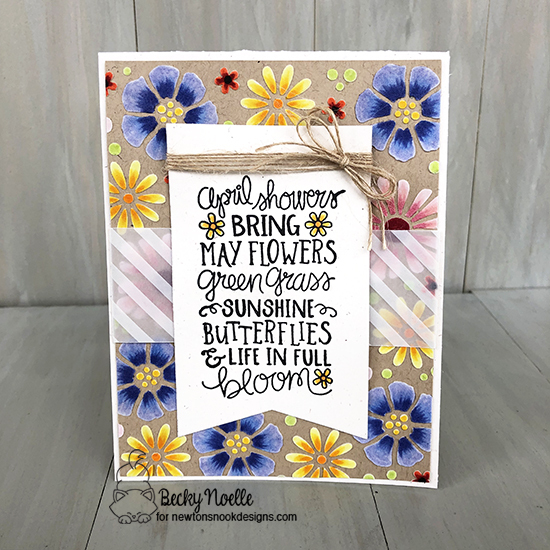 I decided to have some fun with the Newton's Nook Designs Bold Blooms Stencil for this card, it's such a great card for spring! 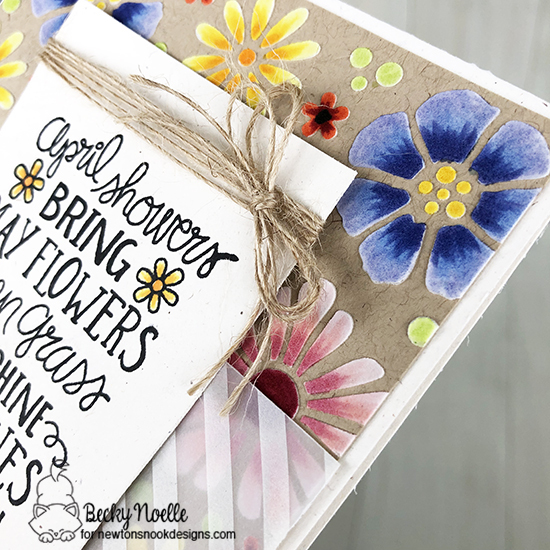 I stamped the sentiment from the Newton's Nook Designs April Showers stamp set on a die cut tag. I wrapped the tag with some twine and layered it on top of some striped vellum on the card. 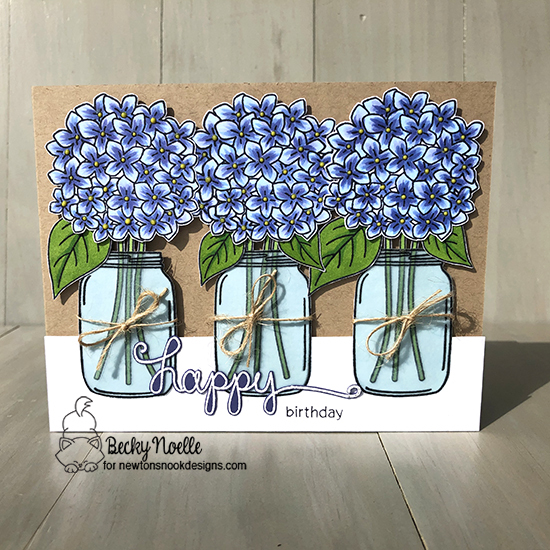 Pretty simple and flat but the flowers really pack a punch! I decided to use the adorable Newton's Nook Designs Woodland Spring stamp set for some no-line coloring for the focal point of this card. I just about killed my eyes with those light colors and the no-line coloring but it turned out so pretty! 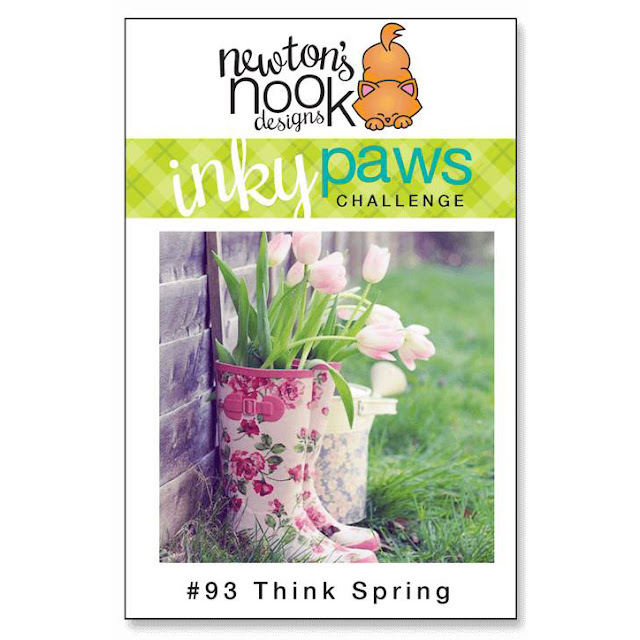 The challenge is "think spring" and you have until Friday night to join us and link up a card to the challenge for a chance to win a $20 store credit to the Newton's Nook Designs online store! 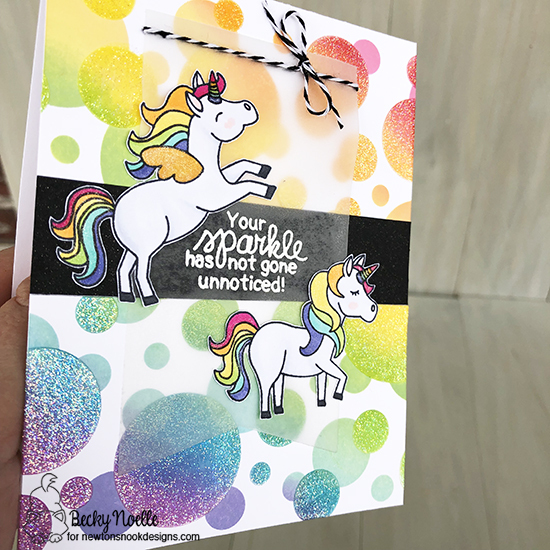 I stamped all of my images on Neenah solar white cardstock with black memento ink and colored them with copic markers before fussy cutting them out. 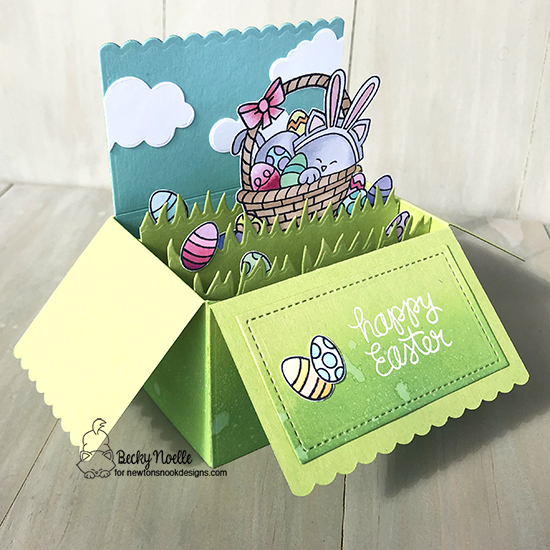 I die cut all of the pieces for my box card out of green cardstock (and the blue piece for my sky). 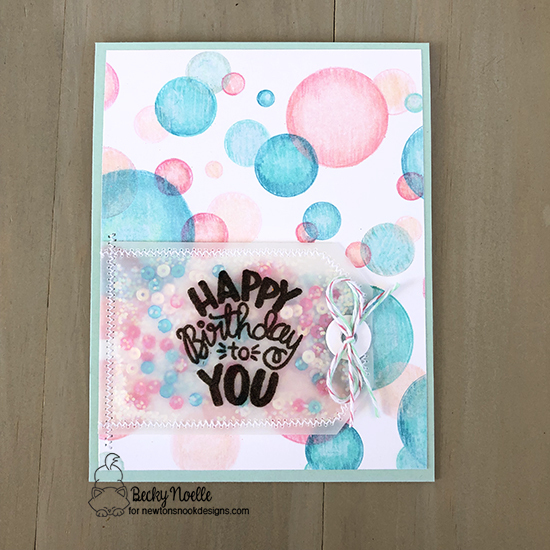 I inked up the bottom of the card exterior with Mowed Lawn Distress Oxide ink and splattered it with water to give it some interest and texture. I also inked the stitched rectangle for my sentiment. 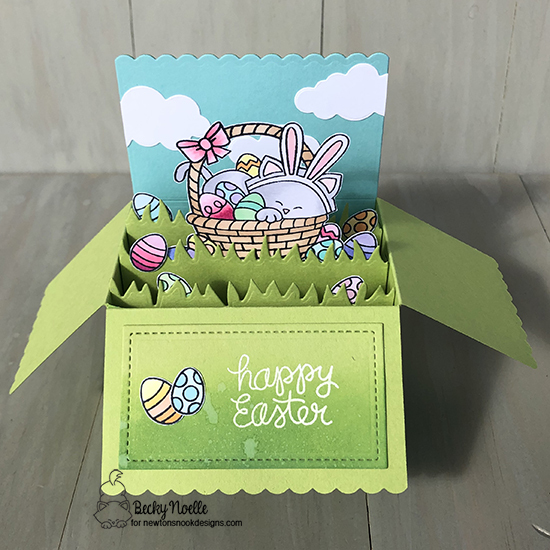 I assembled everything, added some die cut clouds, and an embossed sentiment. We have a nice quiet week planned here, which means plenty of time for me to spend in the studio! I'm making awesome progress on this year's project life album, although i have to clear it off of my desk and make time for cards too!